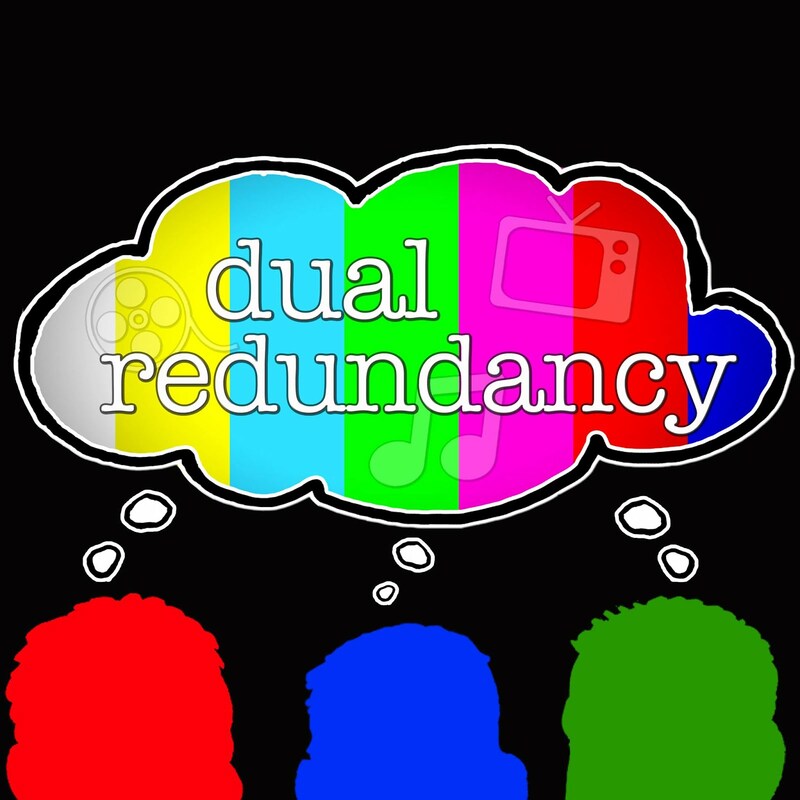 In this week's episode David, John and Kyle discuss how a movie studio could accidentally release a full movie when they were supposed to upload a trailer (2:00). 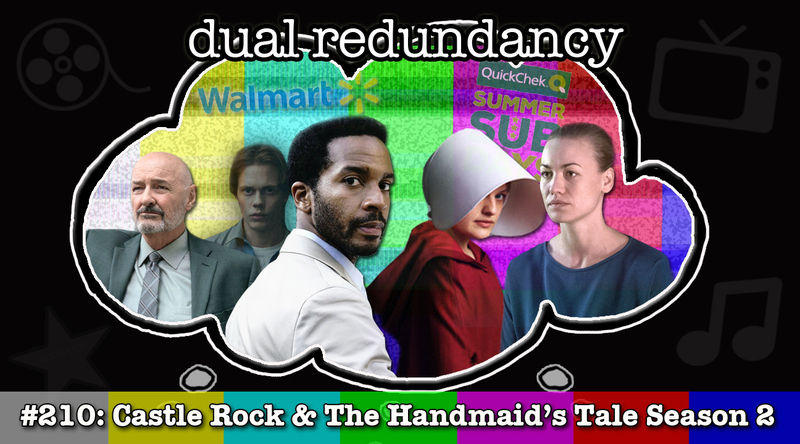 We also discuss two unusual new projects including a movie from the perspective of The Wizard of Oz’s Toto (7:55) and a TV series based on a painting (11:30). We also discuss how Walmart may try and become a streaming service (14:50). Finally we review the series premiere of Castle Rock entitled “Severance” (21:55) and the second season of The Handmaid’s Tale (30:40). In the second episode this week Dave and Kyle react to the 2018 Emmy nominations that were announced on July 12th 2018. 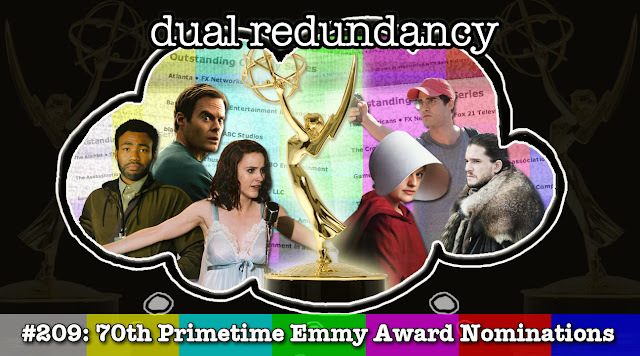 Before we look at the good, the bad and the snubs, we discuss overall nomination stats and the top three categories. 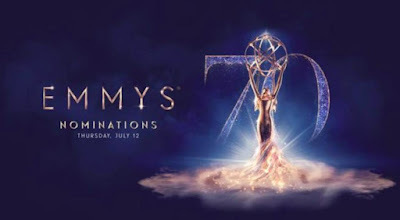 The 70th Primetime Emmy Awards will take place on September 17th on NBC. For even more Emmy related content be sure to check out our coverage of these nominated shows! In the first episode this week David and Kyle discuss the error at the 2018 Nathan's Hot Dog Eating Contest (2:35), how Incredibles 2 is NOT a kids movie (9:40) and how HBO may become more like Netflix (19:05). We then review the series premiere of the HBO miniseries Sharp Objects (29:50). 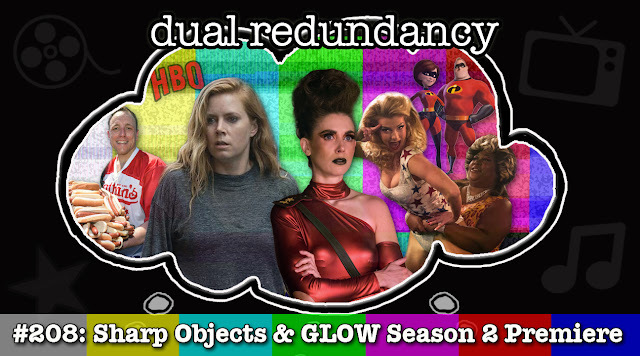 Finally we discuss the first two episodes of GLOW season two entitled “Viking Funeral” and “Candy of the Year” (38:00).